How do you explain Veteran’s Day / Remembrance Day to a child with Autism? So today we had to tell my son that he’ll be going somewhere special when he goes to school, that they’re taking a special trip to the local Legion hall to see some history, maybe learn a little bit about the darker side of our world… war. This left me having to explain to him what Remembrance Day is (yes, I’m Canadian). To start off with, Autism or not, how do you explain concepts so huge to a child, such as world peace, soldiers dying, sacrifices for our freedom… it’s all pretty grim to be talking about with a child as it is but when you get into details, what does a child know of such things? Now, if you factor in Autism, you run into additional barriers such as the concept of the past. My son, and many with Autism have a tough time with the concept of time in the sense that something happened so long ago, or won’t happen for so very long. Recognizing how long hours will be is enough of a challenge much less years, 10’s of years, dozens of years! Then on top of that, is the concept of death. Children in general think of death as something that happens to their favourite video game character where they pop back up and you try again. Children with Autism have a whole other level of non-understanding on top to deal with. You can talk in circles for hours trying to explain death to a child with Autism. You’ll depress them but they will very likely never actually understand it. This brings me to my talk with my son this morning. I then explained that there was a bad guy…. like Bowser. He’s the bad guy in his favourite Mario video games. And like Bowser, this man wanted to take over everything and have everything for himself. But people, people like mommy, daddy and grandma and grandpa and so on all went to fight the bad guy and stop him from taking over. This really got his excitement level up because he was visualizing us as Mario characters going off and jumping on Bowser’s head to stop him. The real let down was in explaining that those people weren’t video game pretend people, they were real life people with real life boys and girls at home, with real life beds to sleep in and real life friends to hug and kiss. Once he got that concept, I explained that some of those people, that went off to fight Bowser, they never came home again. I think that was the part where it sank in most… and really hurt me most, to be honest. I kind of wish he hadn’t gotten it. As proud as I was in being able to get the message across, as proud as I was that he was able to get the concept, even if skewed slightly… at that moment, I wish he hadn’t. He asked about them seeing their mommy’s and daddy’s again, and I said no. He asked about them coming back later, after the fighting… and I said no. To try to make sure he didn’t “get it” too much, I explained to him that the good guys did win. The bad guy was defeated, the fight was won! And he, myself and everyone are free to go to school, have candy and play games. This helped, he really likes it when the bad guy loses. Oh well, so much for perking him back up again. But that was the moment I had been waiting for to explain that those people that beat the bad guy in a big fight but still never got to go home, today is their day. Today is Remembrance Day because every mommy, daddy, little boy and little girl remembers those good guys that won the fight but never got to go back home. Today is the day we we feel sad that they will never go home. Today is the day that we feel happy that the bad guy lost. Today is the day we tell our little boys and little girls about the good guys. Cameron is at school now, I’m sure all of what I talked to him about is still going through his head. I know it’s still going through mine. He might not get the concept of when anything happened, he might not get the concept of the whole world being involved, he certainly doesn’t get the concept of death… but he knows the good guys won the fight against the bad guy but some will never get to go home. It’s probably not the best analogy in the world but it made him sad, made him proud and made him start asking questions. In the end, that’s the whole point of today, isn’t it? 5 Responses to How do you explain Veteran’s Day / Remembrance Day to a child with Autism? I am a leader for a Beaver Scout colony and for the last few years have struggled with Remembrance Day. My younger ones in the group are just beginning to grasp the world around them and because children learn at different levels, I have avoided the issue of war and death. Thank you for this insight. What a nice piece. I hope you do not mind, i have shared this (with your url) on my blog, for my readers, as i thought it was relevant and beautiful. My pleasure Sheila, I hope it helps. Of course I don’t mind Annemieke. I’m quite honored, thank you. I know this was written awhile back, but I am a college student studying special education and music. 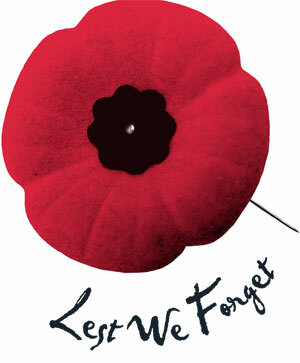 I absolutely enjoyed your article and moreover your point of view, on how you had explained Remembrance Day to your son. It was very simple and to the point. I feel that you have shown many people that struggle with this topic, how it can be explained in a subtle way to students. I wrote a song called Pvt Moore, that I have used quite a bit to explain Remembrance Day to students. I have also experimented with having students help me write a Remembrance Day song. My goal here is to try and have them feel a strong sense of appreciation to this important topic. I have a copy of the song on my blog with a short video.